Custom Turf Outlet is a retail business with a growing line of artificial turf products. 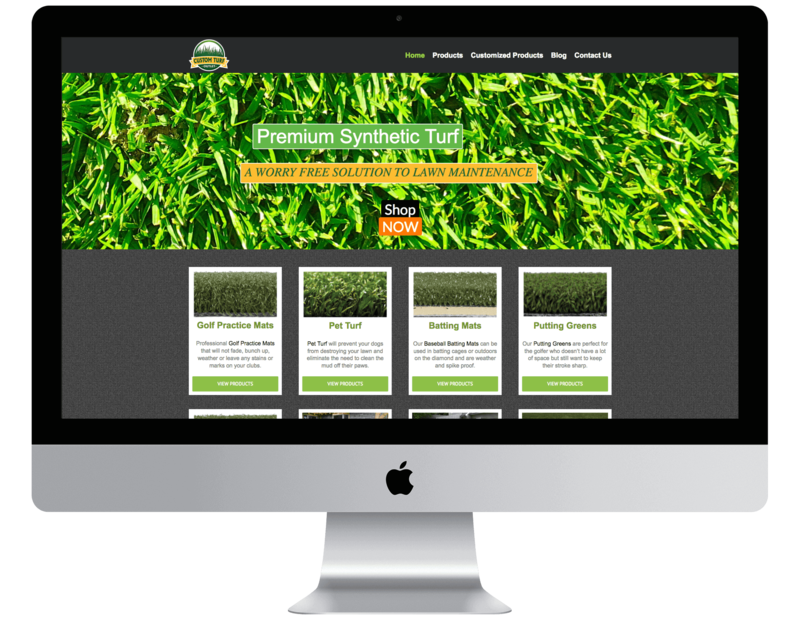 Offering free shipping on all of its products, they provide turf products for a growing number of applications. 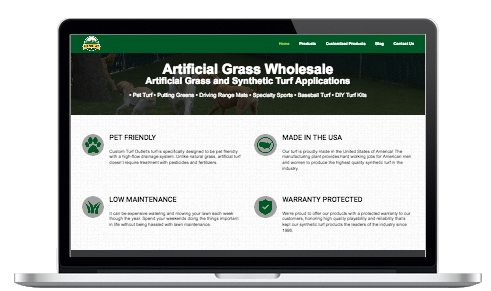 Offering a variety of size and turf materials, Custom Turf Outlet’s e-commerce store sells, pet turf, putting greens, driving range mats, specialty sports, baseball turf mats, DOT drill, dog agility mats and artificial turf logos. For the do-it-yourselfers, Custom Turf Outlet has a service that lets customers install the artificial turf to any indoor or outdoor space. 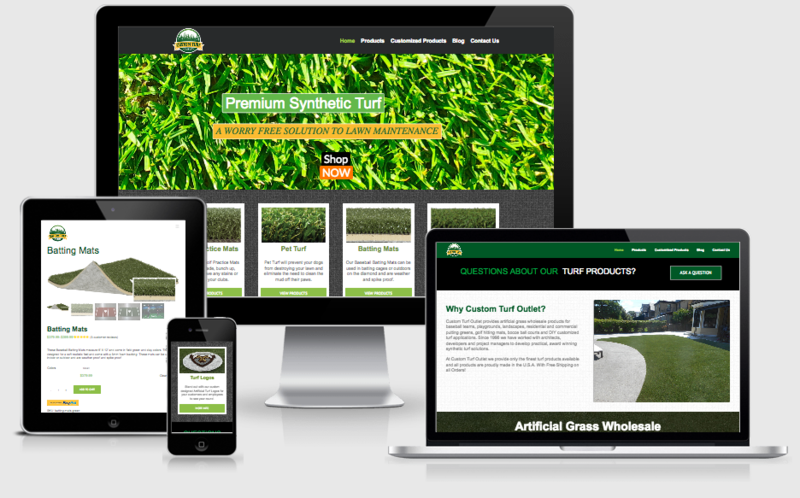 Responsive designs allows visitors to shop synthetic turf from a variety of applications. Custom Turf Outlet is division of their parent company Custom Turf, which installs and services artificial turf in the Western New York and Northwestern Pennsylvania. With Custom Turf Outlet, customers can purchase pre-cut sections of synthetic turf for multiple applications. They contacted the web design team at BIG Waterfall to build and design an e-commerce website to reach customers all across the United States. E-Commerce that responsively adapts to any screen size. On-Page and Off-Page SEO implemented. Customers can safely purchase with any major credit cards. Customers are able to custom order products with image uploads, for do-it-yourself projects and synthetic turf logos. Primary colors are a combination of dark green and yellow, with a light green gradient and a white border throughout. The logo was developed by incorporating feedback from the client over multiple designs and revisions.